After 2,000 years of Jesus paintings, Jesus sculptures, Jesus books, Jesus movies, and, just in general, a whole lot of Jesus, it’s hard to have a new thought on the subject. 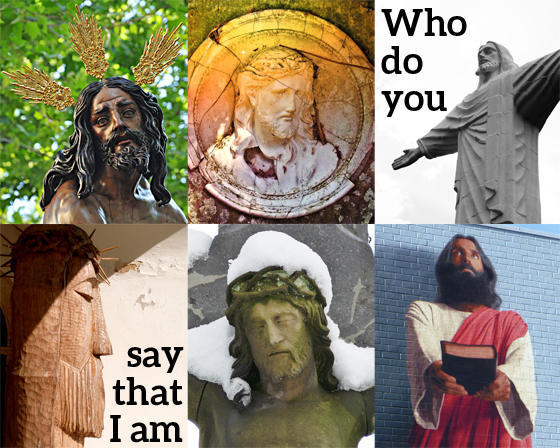 And yet, in spite of all the Jesus paraphernalia in our lives (or maybe because of it), most of us still struggle to answer the question posed above:”Who do you say that I am?” Who was Jesus? What was he trying to accomplish? Why does it matter? Join us on Sunday as Pastor Curt preaches, our choirs are back in action, and we kick off a new program year with worship and a celebratory potluck. You don’t need to sign up for a specific dish—just bring whatever strikes your fancy.